US chemists may have discovered that brain inflammation is part of the reason why antidepressant drugs like Prozac only work for around three people in 10. Parastoo Hashemi’s University of South Carolina team knew that inflammation is linked to depression, but not how. They therefore tracked levels of the chemicals serotonin, which influences mood, and histamine, which signals inflammation, in the brains of mice. At the Monitoring Molecules in Neuroscience (MMiN) conference in Oxford, UK, in March, they showed that inflammation from stress, obesity or bacterial toxins increases histamine release. That prevents selective serotonin reuptake inhibitor (SSRI) antidepressants from doing their job efficiently. ‘It’s important to study other molecules that modulate serotonin in the context of serotonin’s roles in depression for future therapies,’ Hashemi stresses. 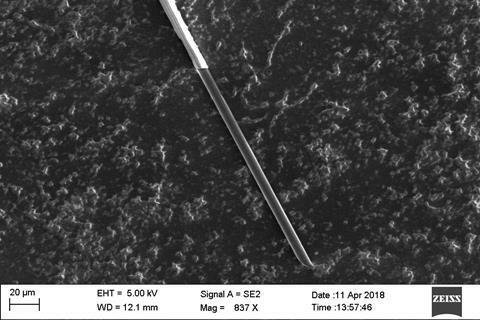 Hashemi’s team has pioneered electrochemical methods like fast-scan cyclic voltammetry and controlled adsorption voltammetry, implanting electrodes just one-hundredth the width of a hair into specific areas of the brain. The scientists use them to apply voltages, cycling from lower to higher values and back, measuring tiny currents as they do so. The electrons this adds and removes oxidise and reduce brain chemicals. In these methods, which are increasingly widely used in animals and even in humans, the current recorded is proportional to chemical concentrations. With this approach, the South Carolina researchers studied changes from normal brain chemistry when mice were stressed, obese or exposed to the bacterial toxin lipopolysaccharide (LPS). In each of these cases, the mice showed depression-like symptoms, but their serotonin levels didn’t initially respond well to the SSRI escitalopram. PhD student Melinda Hersey therefore gave mice exposed to LPS a drug that stopped them making histamine, as well as the SSRI. That quickly restored serotonin levels in the depressed mice to similar levels as control mice without inflammation who were given the SSRI. At MMiN, Hashemi stressed that even if histamine controls SSRI response, antihistamine allergy drugs wouldn’t make antidepressants work better. That’s because they block histamine’s effects at neurons that specifically respond to histamine, rather than those that respond to serotonin. Instead, for the first time, the team is suggesting that agents that target histamine production, while largely unexplored, may help improve SSRIs’ effectiveness. Martyn Boutelle from Imperial College London calls the work ‘ground-breaking’, adding that directly monitoring molecules in intact brains using the new techniques developed by Hashemi is a particular strength. 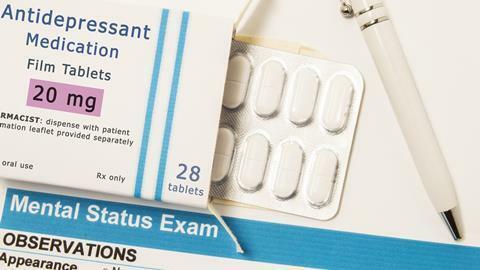 ‘Her exciting preliminary results suggest that elevated histamine levels may explain the lack of effectiveness of SSRIs in many people, and importantly suggest a new therapeutic avenue,’ he underlines.